If you’re looking for Self-Storage in Bournemouth or Christchurch, you probably have some questions. Especially, if you’ve never used Storage before! That is why we have put together this page of FAQ’s. 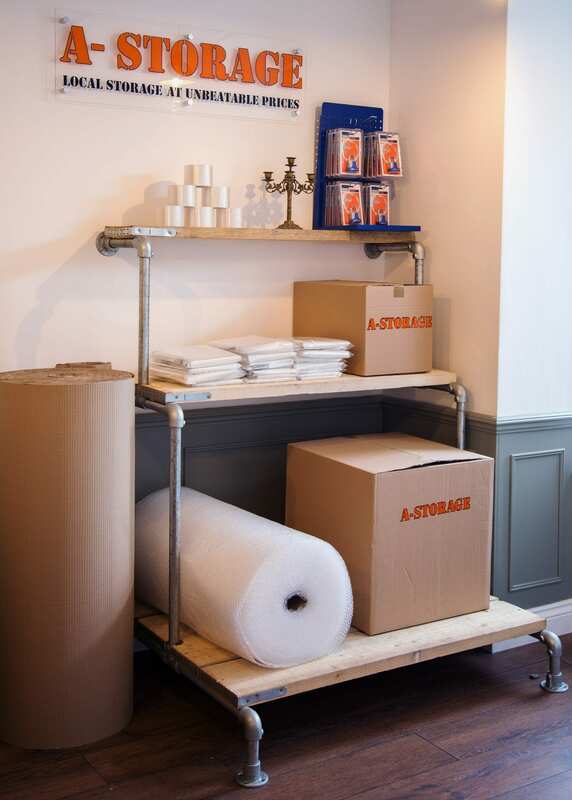 We often get asked these questions, providing you with the answers and advice should make your move into storage easier. 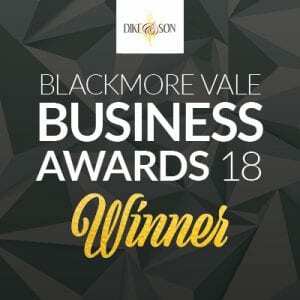 There is a lot of information on this page, so if you don’t wish to read it all or if your questions aren’t on this page, just contact us using our contact details and we would be happy to help! I am looking for Secure Storage, how will you protect my items? 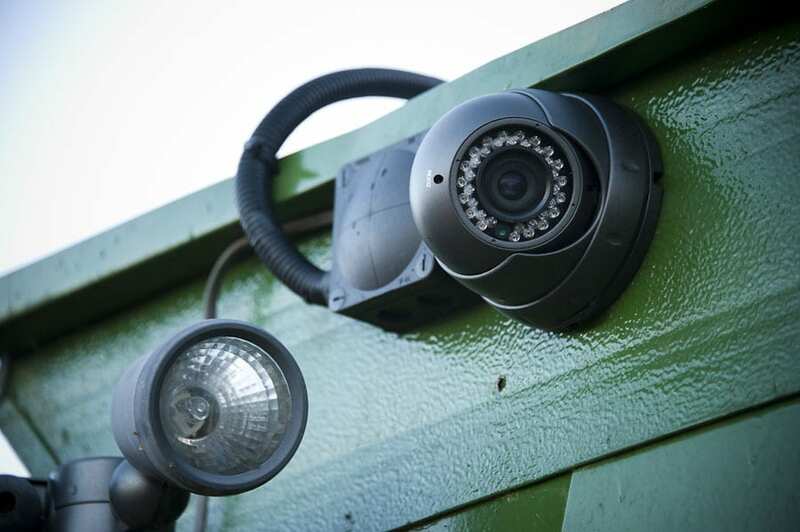 Our Self-Storage in Bournemouth and in Christchurch both have 24-Hour CCTV and a key fob entry system. Our Head Office is in Charminster, Bournemouth so that site is manned 6 days a week. However, we regularly visit our Christchurch Storage facility to carry out routine checks of the Storage units, Vehicle Storage area and all that is contained therein. The Christchurch facility is also located on a secure, gated site, only accessible via the key fob system. What will I be charged for accessing my items? Nothing, it's completely free! Our Storage in Bournemouth operates on a key fob entry system which grants you access from 5am to 12am, 7 days a week. Whilst our Storage in Christchurch operates on a 24-hour access system. Both are open to you 7 days a week. So, one way or another we can supply you with 24/7 access to your stored items at no charge. I have no idea how much space I will need? Don't worry, we are here to advise you. We have good knowledge with the type of space you will need and we ask you to come in so we can show you around our Storage units. Often things make far more sense when you see them and you can start to visualise your items in Storage. We have some great tips and tricks to ensure you maximise on any space you take with us. One of the most frequently asked storage questions. You need to sign a licence agreement with us to ensure that we have the correct details for you, should we need to contact you at any point. This agreement also confirms, in writing, your requirements and ensure you are aware of all our terms and conditions such as prohibited items, thus protecting yourself, us and other customers. ID is taken so that we prove you are who you say are, and so we do not let unauthorised personnel into your unit. Insurance is also taken to protect you, your possessions and other client in case of unforeseen damage. Yes. Each Storage Unit requires a £40 Deposit, and each Key Fob for entry requires a £10 deposit. Each Basement Workshop Unit, Desk Space and Serviced Office requires 1 months rent as deposit. The deposits are fully refundable once you have stopped storing with us, all fobs have been returned and providing you have not breached any of the Terms and Conditions. If you pay a deposit in advance, to secure a Storage Unit booking, but then choose not to store, the deposit is then non-refundable. I only need storage short-term, can I store for one week? No. Minimum storage is one month and notice on any unit is one month. After you have stored with us, your unit is cleaned and sanitised. This is so it can be ready for the next customer and this involves time and money. Therefore, we ask you to store with us for at least one month. You can store for one week should you wish, though 1 month’s payment will still be required. How clean are the units? All units are cleaned when you finish storing with us and we have an extensive cleaning programme. All corridors are bleached regularly and we check every unit before you occupy to make sure it is of the required standard. We do, however, advise all soft furnishings to be wrapped in plastic to protect from dust, unknown leaks in the building or from other customers items. How do I know I am getting a good price and the best storage option for me? We understand that you are looking for a good deal, and we want to help you, so we actually provide information here in our Storage FAQ's to help you find what's best. Here is a guide to ensure you get a good price and the best storage option for you. Ready Steady Store, in Poole. All these facilities offer cheap storage with a free or discounted storage option at the beginning of the contract you have with them. We believe storage is personal to each individual and what may suit one person may well not suit another. You may be looking for cheap storage or 24/7 access may be most important to you or CCTV and secure systems may top the list. So, whatever your requirement, research is essential. If price is your most important factor start by searching in Google for ‘cheap Self-Storage in Bournemouth’ this will give you a list of your local storage facilities and their contact details. From here, you will be able to see if their facility is the right choice for you. Try to ensure you are quoted a Per Calendar Month price. Many storage companies give you a weekly or four weekly price. Being quoted a four weekly price means you actually pay 13 payments in a year and so the price they have quoted you, looks more cost effective than it actually is. Added extras can be put on to your quote such as charging for access to your storage locker, charging for taking deliveries for you and many companies dictate how much insurance you pay for your storage locker – despite the actual value of your goods. Always go and view the Storage when possible, not only do you see what you’re paying for, but it also decreases your chance of choosing the wrong unit. Height of the unit is important because you will be able to maximise on the space you take, by stacking your possessions high. Storage boxes can stack floor to ceiling so the height of that ceiling is important. What is the access like? Are the corridors wide enough for you to maneuver your items around? We have recently added a Virtual Tour to our website. This new feature allows you to explore our Storage facility from the comfort of your own home! Are you paying the same price as the next customer? Choose a company who will work WITH you and that are flexible and helpful in their approach. Beware the dreaded ‘introductory offer’. What will the cost be to you AFTER the offer has finished? If the company does not advertise its prices then why not? The reason usually is because the Storage company is giving you a price based on season, how much they think you will pay and how long they think you will store with them. You wouldn’t go to a supermarket and be quoted a different price for purchasing a loaf of bread – so why should you pay a different price for your Storage to the man next to you? We strongly believe this is not acceptable and this is why we offer open and transparent pricing that is applicable to ALL our customers. I am moving from abroad and will not be there when my items arrive. Not a problem. Please simply discuss the details with us and we can oversee any move in for you. We will check the unit is being filled correctly and liaise with yourselves and the removals team. We do not charge for this service and will be happy to help you. Anything I should bear in mind? Water hose reels not being emptied properly. Fridges not being defrosted before storage. Freezers not being defrosted before storage. Dishwashers not being drained properly. Please ensure ALL items that contain water in any way are well drained and/or defrosted before storing. You can be liable for damage to another customers items and it is important for your own belongings and others to take the time to drain items properly. locks! We can also order in bespoke items for you, so if you are moving home and need anything from wardrobe boxes through to packing tape – we can supply it for you at a very competitive price. Have a look at our page of stock items or call us and we can work with you on your requirements and get a quote to you. Our packing boxes are double walled which means they are very strong but we also can order plastic storage boxes if you prefer. Your website says you have Serviced Offices and Coworking space, are these desks in storage units? No. Although we do allow businesses to run from a Storage unit in Bournemouth and Christchurch, our Serviced Offices and Coworking Desk Spaces are located above our Bournemouth Storage facility, in the A-Space Business Centre. The offices have their own private secure entrance by way of fob entry system and are protected with 24-hour CCTV. There are kitchen and bathroom facilities available for all clients to use. The offices are bright, welcoming and affordable, compared to some Offices to rent in Bournemouth. We also have a Meeting Room for hire in Bournemouth, located near the reception of the A-Storage office downstairs. This Meeting Room is for hire should you require a more formal area for supplier, client or staff meetings. Being on Charminster High-street means we are at a central location, easily accessible by public transport to the areas of Poole, Christchurch, Southborne, Winton and Moordown. We are approximately a mile away from the A338 dual carriage way and Bournemouth Train Station. Other storage companies offer ‘Archiving’ and when you get there what they actually offer is a storage unit! Do you actually offer real archiving services? Yes, we really do! You will not be pointed to your own locker (although sometimes this may work out less expensive for you depending on the amount you have to archive). We offer to take your archive boxes from you, store them until such time as they need disposal and then securely shred the documents for you using a certificated company. The documents will be securely shredded and certificated and we will supply you with a copy of the certificate. We can even collect your archiving from your office for you. It’s a fuss free solution to your archiving requirements. We have two facilities. One in Bransgore, Christchurch. This facility services the New Milton, Christchurch, Ringwood, Highcliffe areas. Our second site is on Charminster High Street in Bournemouth. This facility is best for Southbourne, Winton, Moordown, Poole and Westbourne. The facilities both offer Self-Storage, but slightly different and offer different access times and products. Christchurch Storage is where our secure Vehicle Storage is based and our Storage in Charminster is where our Serviced Offices and Coworking Desk Space is located, along with domestic and business storage solutions. We can be contacted on our landline or mobile number applicable for both sites, or through our email address info@a-storage.co.uk. Visit our contacts page here, for more ways to contact us, or click the chat icon in the bottom right corner! Can I come and see the storage even though I’m not sure if I will take storage with you? Absolutely! We recommend you view ALL the local storage facilities in your area and compare the storage to find the most appropriate company applicable for you. You can still call us with any questions you may have, even if you don’t store with us, we would be happy to help. I only have one or two boxes to store! No problem at all. We offer Single Item Storage in Bournemouth so if you only have a couple of boxes you will be able to store them and pay by the box. We supply medium or large boxes and you can now store by the suitcase! Simply fill the box with your items, bring them to our facility in Charminster, and we will store your items away in our secure unit. The Single Item Storage in Bournemouth is a weekly price, allowing you more flexibility with storage, and there is no deposit to pay! Please enquire by calling 01202 520038 or email us at info@a-storage.co.uk. We are always happy to discuss your needs and/or just give you some advice. If you have any other questions, please ask, we may need to update our Storage FAQ's!